Do you have your social media marketing strategy squared away for 2019? If not, we don’t blame you. Because 2018 was a whirlwind year for social marketing to say the least. Facebook was shrouded in controversy due to its algorithm changes and privacy concerns. Instagram finally came into its own by rolling out a whole slew of business features while also passing the one-billion user mark. All the while brands got bolder, launching conscious and seemingly controversial campaigns as customers want to see brands get real. Last years happenings combined with this year’s emerging trends have left marketers with a sense of analysis paralysis. Where do you go from here? Perhaps what matters most is that you have a strategy at all. To keep your brand from sitting on the sidelines, we’ve broken down the steps to developing a social media marketing plan to carry you through 2019 with a sense of purpose. First things first: you need to figure out what you want out of social media at large. Maybe it’s more social-savvy customers. Perhaps it’s a larger share of voice in your industry. Either way, remember that social media planning is a marathon, not a sprint. Brands should strive to set goals that are actually attainable. For example, shooting for a million new Instagram followers in 2019 isn’t going to happen. By tackling smaller, realistic goals, you can scale your social efforts in a way that’s both reasonable and affordable. And on a related note, your goals will influence everything from your budget to which social networks you’ll tackle. Below are some actionable goals that brands of all shapes and sizes can divide and conquer. Increase brand awareness. To create authentic and lasting brand awareness, avoid solely publishing promotional messages. Instead, focus on content emphasizes your personality and puts your followers ahead of the hard sell. Achieve a higher quality of sales. Digging through your social channels is nearly impossible without monitoring or listening to specific keywords, phrases or hashtags. Through more efficient social media targeting, you reach your core audience much faster. Drive in-person sales. Many brick-and-mortar businesses are on the hunt for a social media marketing strategy that drives in-store sales. Is your brand promoting enough on social to entice folks to come see you? Are you about alerting customers to what’s going on in your stores, including promotions and action shots of your store? Improve ROI. Positive social media ROI doesn’t happen by accident. Taking the time to audit your social channels can help keep the cost of labor, ads and creatives down. The end-result is squeezing way more out of your social spending. Create a loyal fanbase. Does your brand promote user-generated content? Do your followers react positively without any sort of initiation? Your customers can be your best cheerleaders and sources of fresh content, but only if you’re encouraging them to post on your behalf. Better pulse on the industry. What are your competitors doing that seems to be working? What strategies are they using to drive engagement or sales? Such analysis can help you better understand how to position your own brand both on social media and off. Any combination of these explicit goals is fair game and can help you better understand which networks to tackle, too. When in doubt, keep your social media marketing strategy simple rather than muddling it with too many objectives that’ll ultimately distract you. Making assumptions is a dangerous game for marketers. And thanks to the sheer wealth of demographic data and social media analytics tools out there, you really don’t have to anymore. So much of what you need to know about your audience to influence your social media marketing strategy is already out in the open. 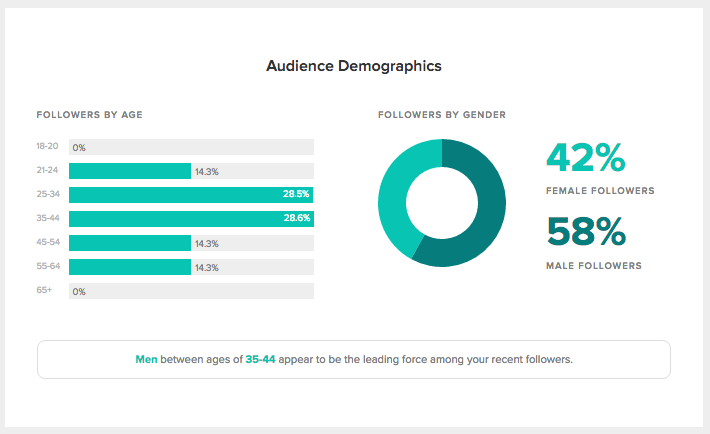 And although the demographics data above gives you insight into each channel, what about your own customers? 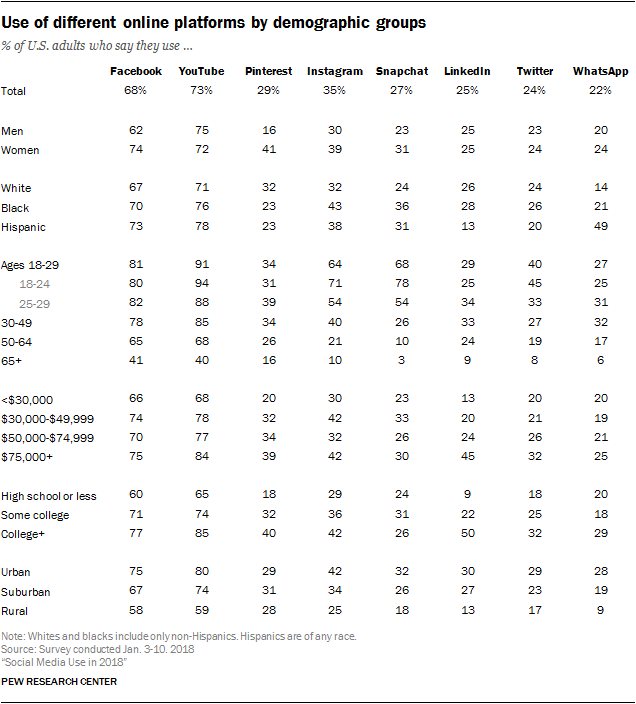 Further analysis needs to be done before you can truly know your customer demographics on social media. That’s why many brands use a social media dashboard which can provide an overview of who’s following you and how they interact with you on each channel. Most brands today are using at least some sort of dashboard. However, does your dashboard tie in your specific goals? Brands should be where their target audience is hanging out: that’s a no-brainer. A robust dashboard like the one Sprout offers can help you double-check that you’re spending time targeting the proper channels. Whether you’re an agency providing insights for your clients or an enterprise company discovering your own demographics, an all-in-one dashboard solution is critical. No matter what you’re selling, your social media marketing strategy should be data-driven. That means focusing on the social media metrics that matter. Because while “likes” and shares are nice to have, they amount to little more than vanity metrics if they aren’t resulting in meaningful engagement or sales. What good are your millions of followers if you can’t do anything with ’em? Reach. Post reach is the number of unique users who saw your post. How far is your content spreading across social? Is it actually reaching user’s feeds? In the face of ever-changing organic algorithms, tracking reach is arguably more important than ever. Clicks. This is the number of clicks on your content, company name or logo. Link clicks are critical toward understanding how users move through your marketing funnel. Tracking clicks per campaign is essential to understand what drives curiosity or encourages people to buy. Engagement. 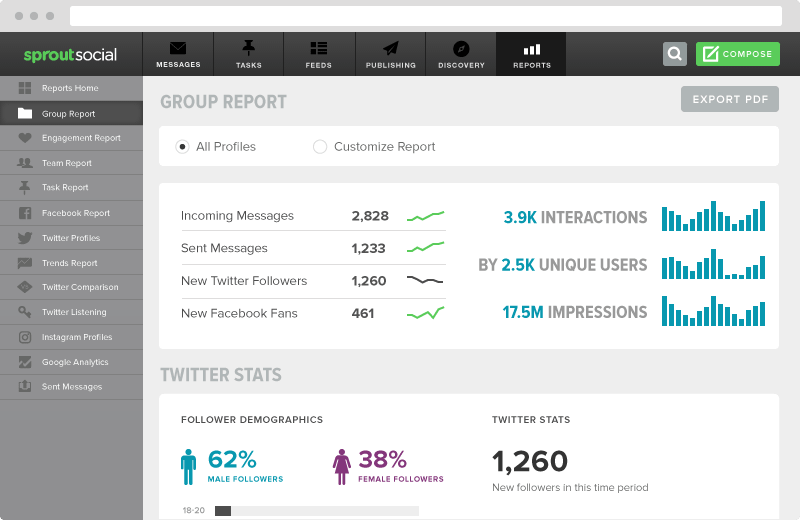 The total number of social interactions divided by the number of impressions. For engagement, it’s about seeing who interacted and if it was a good ratio out of your total reach. This sheds light on how well your audience perceives you and their willingness to interact. Hashtag performance. What were your most used hashtags on your own side? 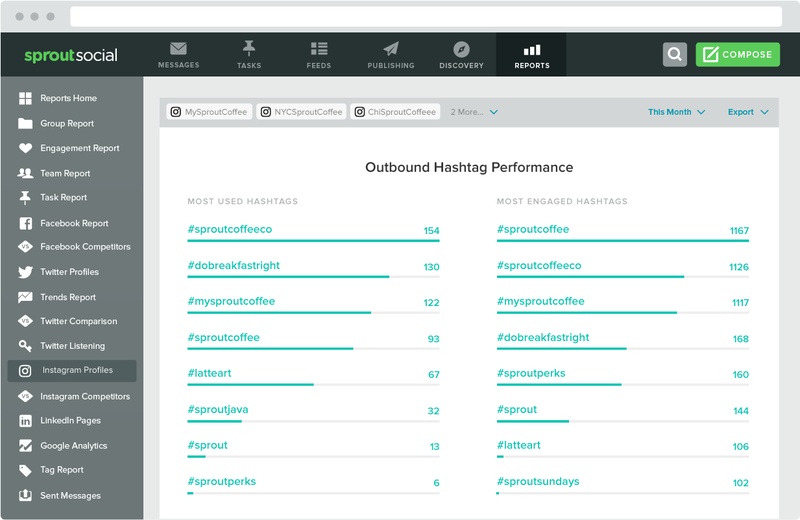 Which hashtags were most associated with your brand? Or what hashtags created the most engagement? Sentiment. 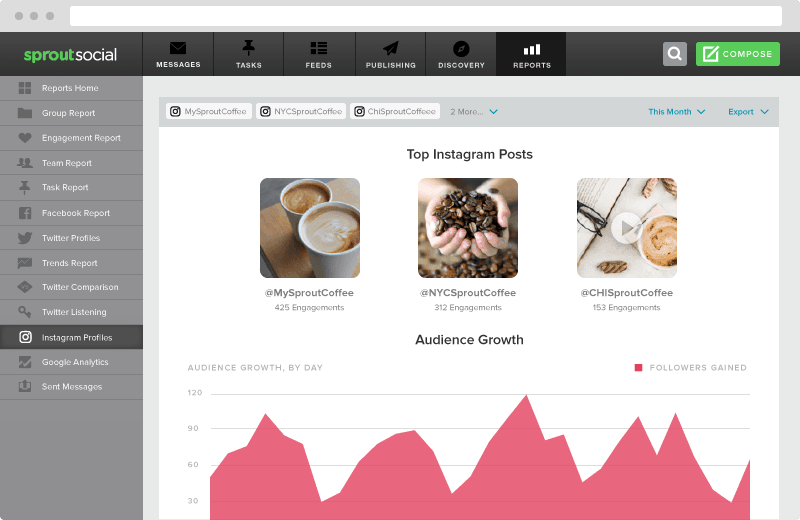 This is the measurement of how users reacted to your content, brand or hashtag. Did customers find your recent campaign offensive? 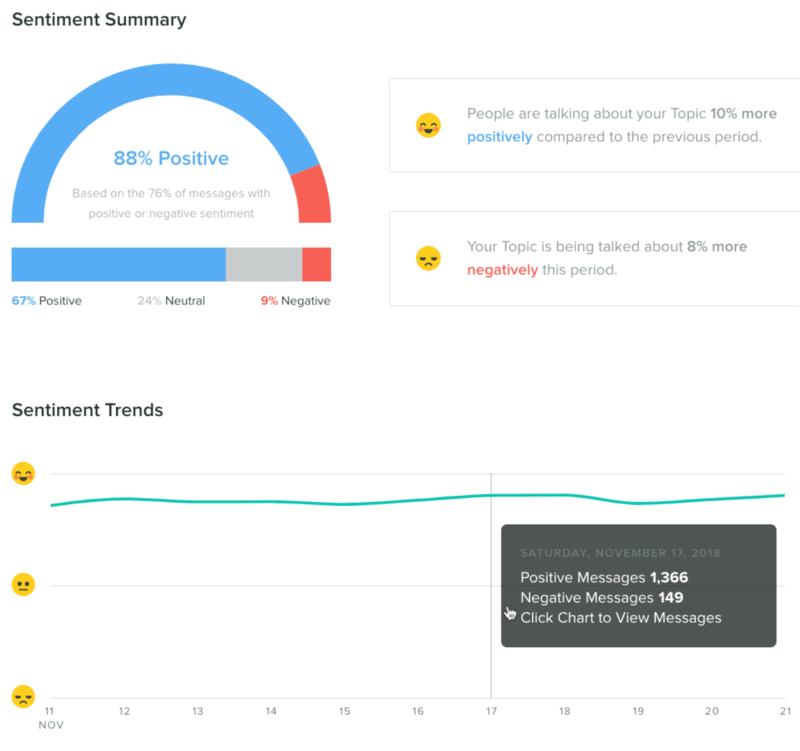 What type of sentiment are people associating with your campaign hashtag? It’s always better to dig deeper and find what people are saying. An effective social media marketing strategy is rooted in numbers. That said, those numbers need to be put into a context that circles back around to your original goals. Before you start creating content, you should have a good idea of what your competitors are up to. Doing so involves might just require some surface-level analysis. Some brands might also look into third-party competitor analysis tools to dig deeper into their competitors’ numbers. Looking at your competition’s presence will directly inform your own social media marketing strategy. The goal here isn’t to copycat or steal your competitors’ ideas. Instead, it’s to determine what’s working for them and how you can adapt your own campaigns accordingly. For example, let’s take a glance at how two brands in the same space can take two totally different approaches to their social media marketing strategy. In this case, we’ll dip in the world of ice cream. Halo Top Cream prioritizes their own eye-popping visuals and clever captions to show off their treats. Their posts score tons of engagement on a consistent basis. On the flip side, Ben & Jerry’s takes a totally different approach to social. In addition to their own in-house promotional photos, the brand pushes a lot of user-generated content. Perhaps most notable is the fact that Ben & Jerry’s does not shy away from activism and politically-charged posts. Some might argue that politics and ice cream don’t mix, but the brand has generated plenty of buzz by putting their values front-and-center. The takeaway here is that brands have so much room to set themselves apart from their competitors in terms of content and voice. Of course, you need to know who your competitors are before you start stressing over content creation. The simplest way to find competitors is through a simple Google search. 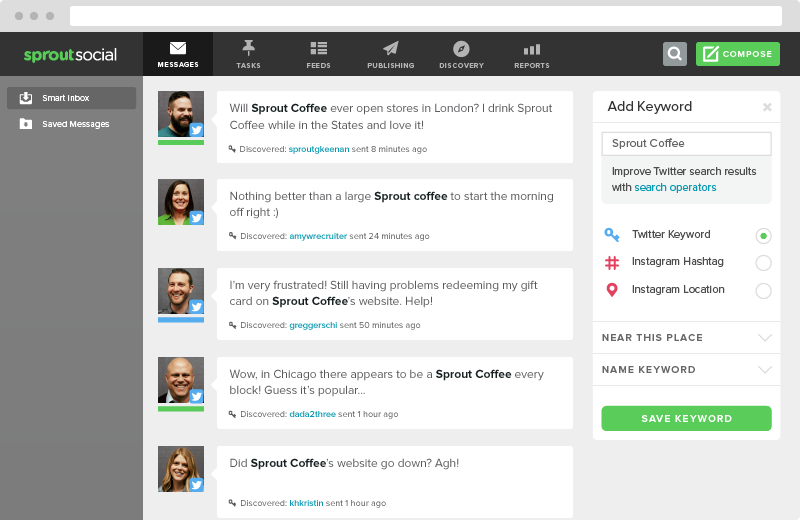 Look up your most valuable keywords, phrases and industry terms to see who shows up. 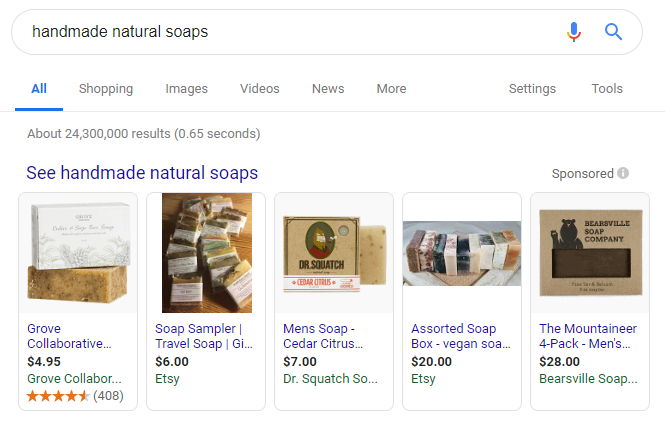 For example, if you sold various soaps, “handmade natural soaps” would be a great keyword to investigate. Excluding major retailers like Amazon and Bath & Body Works, take a look at who’s popping up in your space both organically and via ads. Then, you’ll want to take a look at who’s active on social media. In this particular case, Wild Soap is a smaller operation with an active, thriving social presence. This means they’re a great candidate to track. 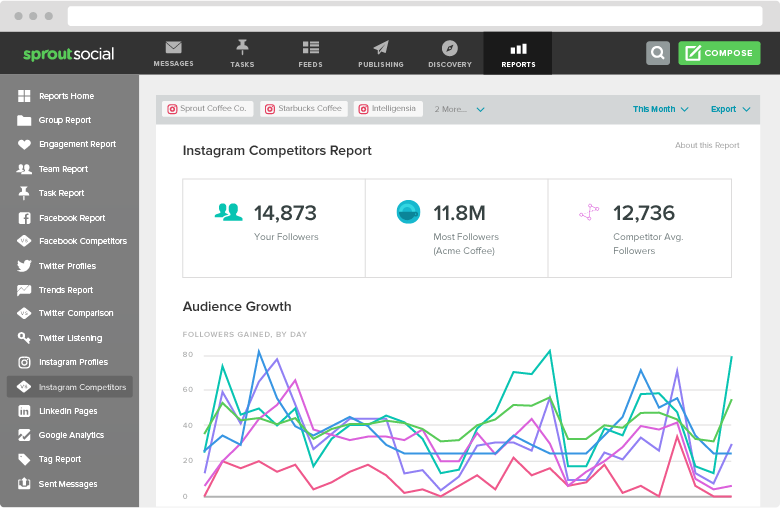 After gathering a handful of industry competitors, it’s smart to use a social media competitive analysis tool like Sprout Social to track Facebook and Instagram content. This can clue you in on what tags they’re using and likewise what content they’re posting. Once you analyze an array of competitors, you’ll have a better idea of what your own audience wants. Your social media marketing strategy is obviously centered around content. At this point, you should have a pretty good idea of what to publish based on your goal and brand identity. Similarly, you probably feel confident in which networks to cover. Still overwhelmed by the specifics of what you should be posting? From picking the right creatives and captions to finding the balance between promotion and personality, there’s a lot to mull over. The pressure is certainly on brands in an era where 46% of users say they’ll unfollow a brand that’s overly promotional. Additionally, 41% of users say they’d unfollow a brand that shared too much irrelevant content. To help narrow down the specifics of what you should be publishing, let’s start with 2019’s social trends and best practices. Consider any combination of the following as you put together the content piece of your social media marketing plan. The need for brands to produce video is greater than ever. Across all networks, social video content is among the most viewed and shared hands-down. Facebook and Instagram, in particular, are pushing video hard right now which is notable given how their respective algorithms will continue to evolve in 2019. Live? Long-form? Short looping video? There’s no shortage of options for brands to play the role of producer these days regardless of your budget. Again, we can’t stress enough the importance of curating user-generated content from branded hashtags. Customers today absolutely love authentic content that doesn’t always have that sort of professional, polished touch. If nothing else, curating UGC means less work on your plate and less pressure to constantly be thinking of new ideas. One of the toughest challenges to visual content is creating it on a day-to-day basis. A Venngage infographic showed 36.7% of marketers said their top struggle with creating visual content was doing so consistently. This shows how important highly-visual content is to marketers and the people they want to reach. That’s why building content themes is a great approach to sectioning out your content. 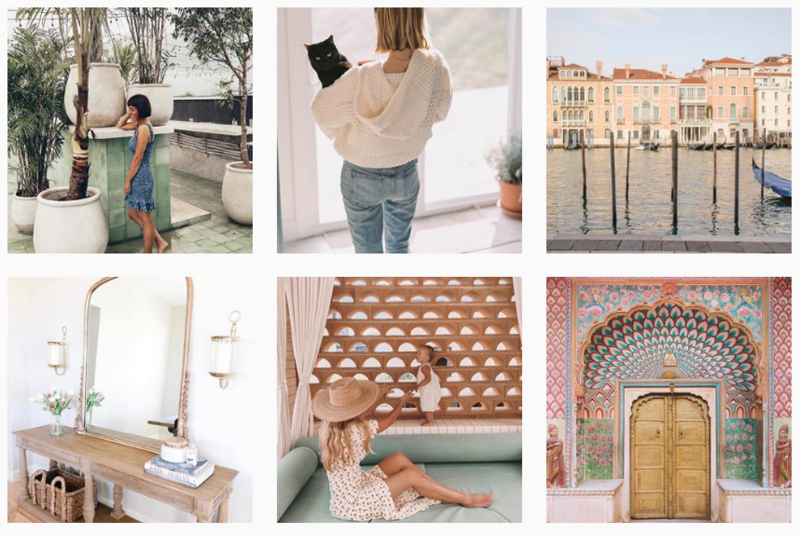 Instagram is one your premier channels to work off visual themes. For example, Anthropologie does an amazing job at keeping their Instagram feed consistent, colorful and eye-popping. 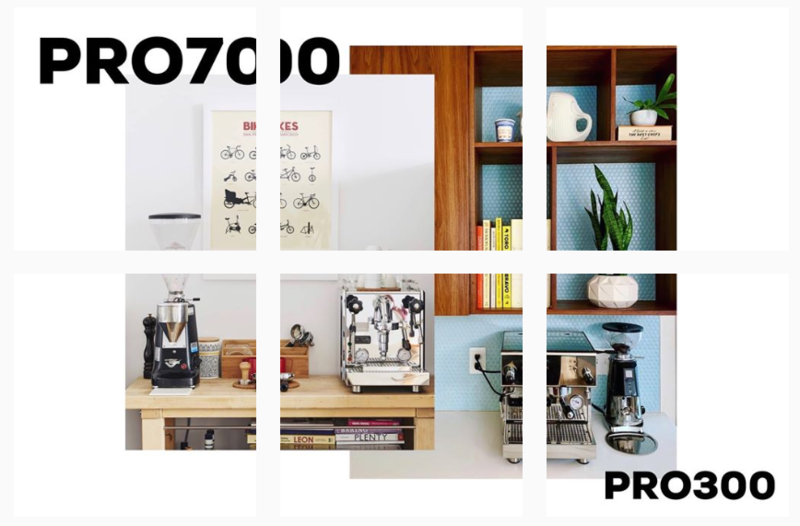 Check out how Profetic uses collage-style content to tie their feed together for something totally different. If consistency is a problem with your social media marketing strategy, think about how a theme can help. Timeliness is a two-way street. Not only do customers expect speedier responses from brands in 2019, but also meaningful conversations on a regular basis. Let’s start with the first point. Social media channels are built as networks. You know, a place to converse and share content. Your brand can’t forget these core elements of “networking.” It takes effort to ensure conversations or engagement opportunities aren’t left unattended. Through social media, you gain respect as a brand by just being present and talking to your audience. That’s why social customer care is so important to brands wanting to increase audience awareness. It’s all about engagement. 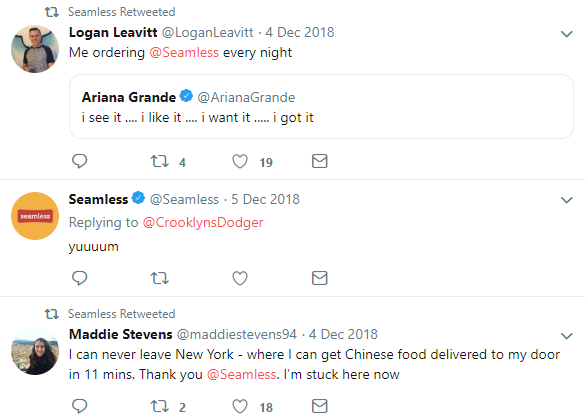 For example, Seamless does a wonderful job of not only responding but showing customer care is a high priority. Through the right social media monitoring tools, you can find instances across all your channels to interact, respond and gauge customer service inquiries. Designating teams to specific tasks can help your staff run like a well-oiled social media team, whether you’re a group of one or 100. When is your brand available to engage and interact with customers? You might see some recommending times to post late in the evening, for example. But if your brand isn’t there to communicate, what’s the point of posting at the “preferred” time? Instead, try to ensure your social media or community managers are available and ready to answer any product questions or concerns when you tweet or post. It’s smart to learn the best times to post on social media, but it’s just as critical to engage after posting. According to our Index, a brand’s average response time is around 10 hours. 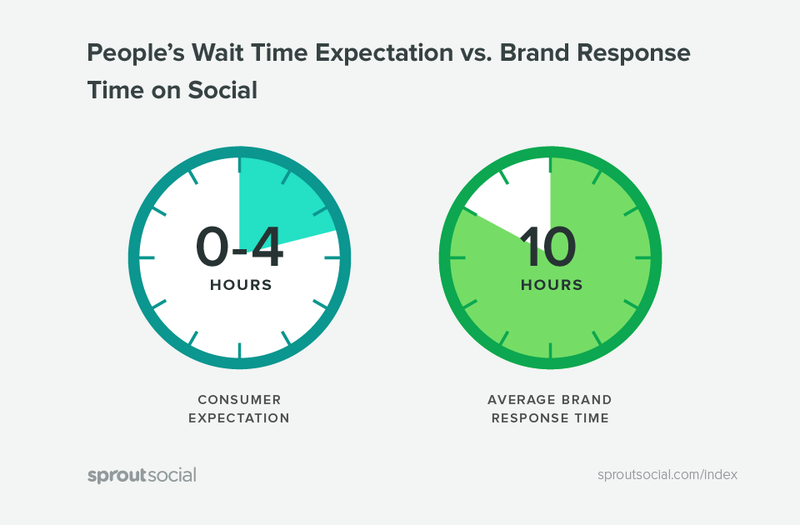 But did you know that most users believe brands should respond to social media messages within four hours? With all the updated algorithms, organic content has a tough time reaching the majority of your audience. The last thing you want to do is ignore those who engage and lose out on sending more down your marketing funnel. By now you should have a big picture understanding of your social marketing strategy for 2019. However, it’s important that you’re able to adapt your strategy as you progress through the year. Without continuously analyzing your efforts, you’ll never know how one campaign did over another. Having a bird’s eye view of your social media activity helps put things into perspective. This means looking at your top-performing content and fine-tuning your campaigns accordingly. There’s no denying that a lot of social media is a matter of trial-and-error. Monitoring the metrics behind your campaigns in real-time allows you to make small tweaks to your social media marketing strategy rather than sweeping, time-consuming changes. This dynamic approach to marketing makes perfect sense in a day and age where social media is constantly evolving. And with that, we wrap up your social media marketing plan checklist for 2019! Is your social media marketing strategy up to snuff? Hopefully this breakdown served as some much-needed inspiration and guidance for reaching your social goals for this year. We also wanted to give our readers a few resources to use moving forward. Check out our social media campaign plan template and editable reporting template to help put your ideas into action ASAP.